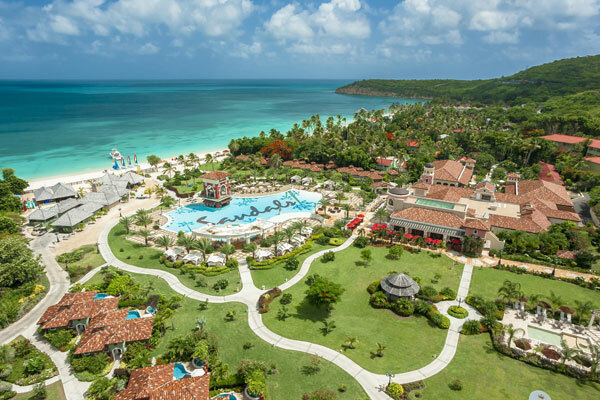 Online registration is now open for Sandals Resorts’ Canadian series of Certified Sandals Specialist workshops which take place between May and September. With workshops in over 40 cities from St. John’s, Nfld., to Surrey, BC, Sandals invites agents to “take the keys” and lock in more bookings than ever before. During the fast-paced, concise sessions, agents will receive key product updates, key selling strategies, key tips and more key information they need to sell Sandals Resorts and Beaches Resorts. The workshops also fulfill the educational requirement towards becoming a Certified Sandals Specialist, as well as the maintenance requirement for agents already holding CSS status. The majority of workshops are scheduled in the morning (7:45 a.m. – 12:30 p.m.) however in select cities, afternoon (1 p.m. – 5 p.m.) and evening (5 p.m. – 9 p.m.) sessions are available. In Quebec, workshops are conducted in both English and French. In addition, the Sandals workshops are ACTA approved. Each travel agent or manager who completes a workshop receives 10 credits towards their Certified Travel Counsellor or Certified Travel Manager designation. Space is limited and agents are encouraged to register early. A non-refundable fee of $40 is required at time of registration. All participants will receive a 2019 workbook manual (which serves as an excellent resource guide), a 2019 CSS certificate (to show off and post on social media) as well as a supply of the newest collateral materials. Agents can register online at https://www.uvisandals.ca and contact their local business development manager or inside sales at 1-800-545-8283 or 416-223-0028 for additional information. May 1, Vaughan, ON, Hilton Garden Inn Toronto Vaughan; May 2, Barrie, ON, Liberty North; May 7, Halifax (evening), The Royal Nova Scotia Yacht Squadron – Saraguay House; May 8, Burnaby, BC, Holiday Inn Metrotown; May 8, St. John’s, NL (evening), Glendenning Golf Course; May 9, Surrey, BC, Sheraton Vancouver Guildford Hotel; May 14, Mississauga, ON, Courtyard by Marriott Mississauga West; May 14, Edmonton, Courtyard by Marriott Edmonton West; May 15, Burlington/Hamilton, ON, Holiday Inn Burlington Hotel & Conference Centre; May 15, Red Deer, AB, Radisson Red Deer; May 16, Calgary, Hyatt Place Calgary Airport; May 16, Toronto, Yorkville Conference Centre; May 28, Gatineau, QC (French), Holiday Inn Express & Suites Gatineau-Ottawa; May 29, Montreal, (English), Holiday Inn & Suites Pointe-Claire; May 29, St. Catharines, ON, Hilton Garden Inn Niagara-on-the-Lake; June 4, Laval, QC (French) (afternoon), Palace Convention Centre; June 5, Langley, BC, Sandman Signature Langley; June 5, Terrebonne, QC (French), Imperia Hotel & Suites; June 6, Kelowna, BC, Kanata Kelowna Hotel & Conference Centre; June 11, Quebec City, QC (French), afternoon, Complexe Capitale Hélicoptère; June 12, Trois-Rivères, QC (French), Hôtels Gouverneur Trois-Rivères; June 13, Ottawa, Homewood Suites by Hilton Ottawa Airport; June 13, Charlottetown, PEI, (evening), The Great George Hotel; June 18, Brossard, QC, (French), Hôtel Alt Quartier DIX30; June 18, Winnipeg, Hilton Winnipeg Airport Suites; June 19, Saskatoon, Delta Hotels Bessborough; June 19, Drummondville, QC (French), Grand Times Hotel; June 20, Regina, SK, The Hotel Saskatchewan; June 27, Belleville, ON, Fairfield Inn & Suites; Aug. 6, Ajax/Oshawa, ON, Hilton Garden Inn Ajax; Aug. 7, Peterborough, ON, Holiday Inn Peterborough-Waterfront; Aug. 14, Markham, ON, Monte Carlo Inn & Suites; Sept. 5, Toronto, (evening), Holiday Inn Toronto-Yorkdale; Sept. 11, Edmonton, Courtyard by Marriott Edmonton West; Sept. 12, Calgary, Hilton Garden Inn Calgary Airport; Sept. 12, St. John’s, NL, Fairfield Inn & Suites; Sept. 18, Windsor, ON, Hampton Inn & Suites; Sept. 19, London, ON, Best Western Plus Lamplighter Inn; Sept. 20, Ottawa, Ottawa Conference & Event Centre; Sept. 24, Dartmouth, NS, Best Western Plus; Sept. 25, Moncton, NB, Royal Oaks Golf Club; Sept. 25, Cambridge/Kitchener, ON, Cambridge Hotel & Conference Centre; Sept. 26, Saint John, NB, Lily Lake Pavilion; Sept. 26 – Mississauga, ON, Hilton Garden Inn Toronto Airport.